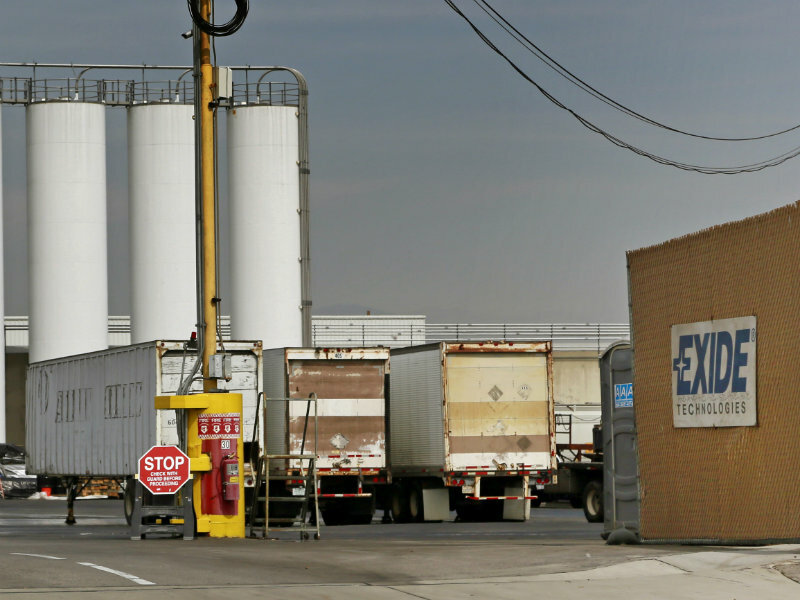 This March 10, 2015, file photo shows the Exide Technologies battery recycling plant in Vernon, Calif. Gov. Jerry Brown on Wednesday, Feb. 17, 2016, proposed spending $176.6 million to test and clean up the defunct battery recycling plant. California lawmakers are expanding the clean-up of an old, leaking Los Angeles-area battery plant. The Assembly approved more funding Thursday. Until it shut down last year, the Exide battery recycling plant in Vernon, California spewed lead and arsenic for decades into the surrounding community, despite repeated citations from state regulators. The Brown administration called in February for $177 million in new funding to increase the pace of clean-up, which local and state lawmakers have criticized as slow. If the Senate gives final approval for the money — as it’s expected to Monday — regulators say it will allow testing of homes and schools in a nearly two-mile radius around the plant. They expect a quarter of those properties will require clean-up. Democratic Assemblyman Miguel Santiago lives near the site and says the contamination has affected his son. The Brown administration expects to recoup the cost of the clean-up from Exide.